I’m one of those people that’s always losing things. I’ll be about to run out to meet with friends for brunch, when suddenly I’m running 20 minutes behind because I can’t find my car keys or my purse. I lose things in couch cushions, in the space between my desk and the wall, you name it. There’s almost no feeling worse than knowing you just had something in your hand and now you can’t find it. It is maddening, and I know I’m certainly not the only one who feels that way! These frantic searches could all be avoided with a Bluetooth tracker. 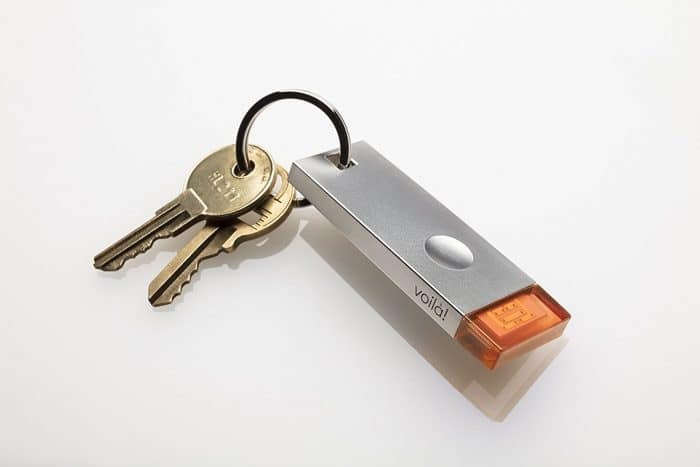 These tiny devices attach to your most important belongings (your phone, car keys, purse, you name it) and help you locate them when they end up misplaced! 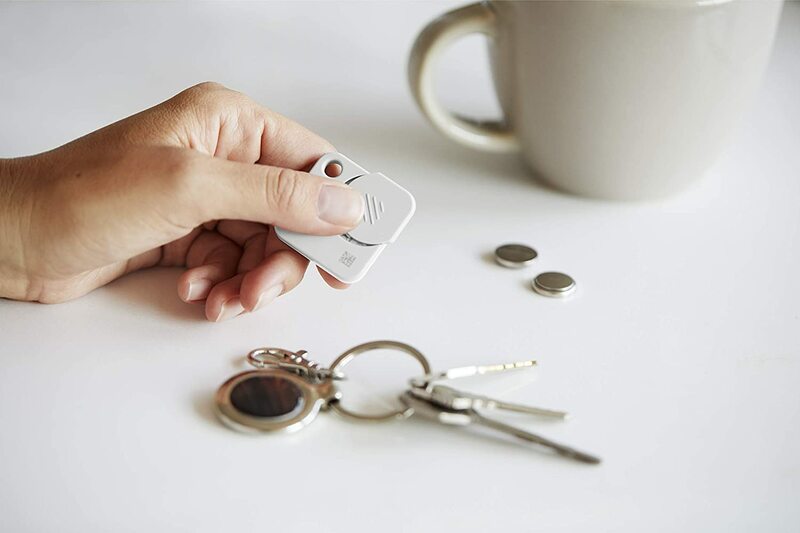 A small, thin device that attaches to your most important possessions and allows you to track their location in the event that they are misplaced. You’ll gain peace of mind that you’ll always be able to find important items, even when they’re just hiding around your house. In the event that something gets truly lost, like left at a restaurant or on a park bench, your odds of finding it will be much higher if you have one of these smart products attached. We carry valuable items, both from a financial and sentimental perspective, with us almost everywhere we go. Being able to recover those items when they are lost is a huge asset. These simple devices could be the reason you recover a bag full of your child’s favorite toys, a cell phone with sentimental pictures on it, or a briefcase full of irreplaceable work notes. Bluetooth trackers don’t require any installation, just attach them to whatever you want to be able to track, sync to an app, and go. How much does a Bluetooth Tracker cost? Most Bluetooth trackers are quite inexpensive, which is great if you end up loving them and wanting to attach them to everything! The products on this list range in price from $20-$40, making them affordable enough to order in multiples if you’re so inclined. 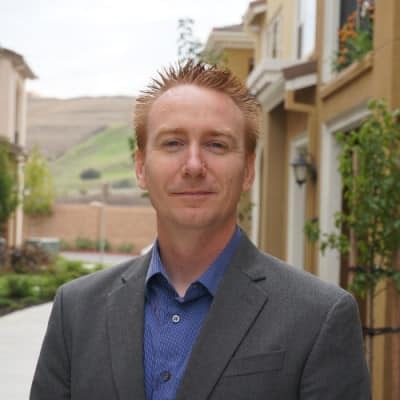 Since 2013, our team at Ideaing holds extensive background in technology, from electrical engineering to product managers at Fortune 500 companies. We pride ourselves in providing truly objective incite into our reviews and recommendations. Our expert panel of product experts spend thousands of hours researching, analyzing and testing products. After our extensive research on over 25 of the top Bluetooth trackers on the market, here are our 7 best picks for most people. 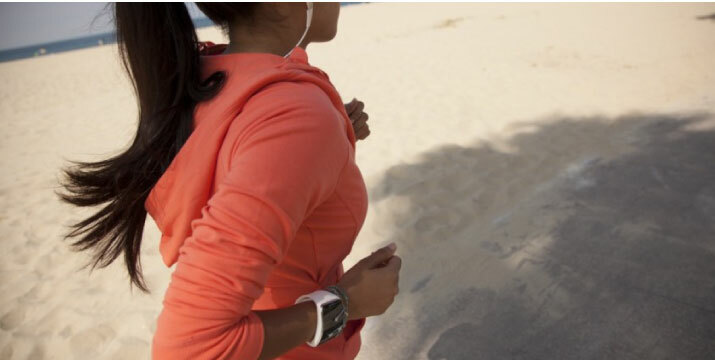 Based on our research, here are the best Bluetooth trackers in the market. 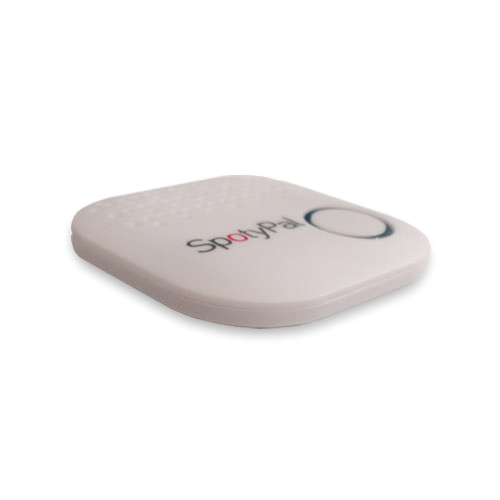 A tiny device with powerful search & rescue capabilities. When I lose my phone (something that happens about 3 times a day) one of the biggest hindrances to finding it is that I always keep it on silent. There’s no way for me to call from another phone and follow the ringtone or vibration sounds. The Tile Mate can make your phone ring even when it is on silent, which makes it much simpler to narrow down which pile of laundry you accidentally left it in! 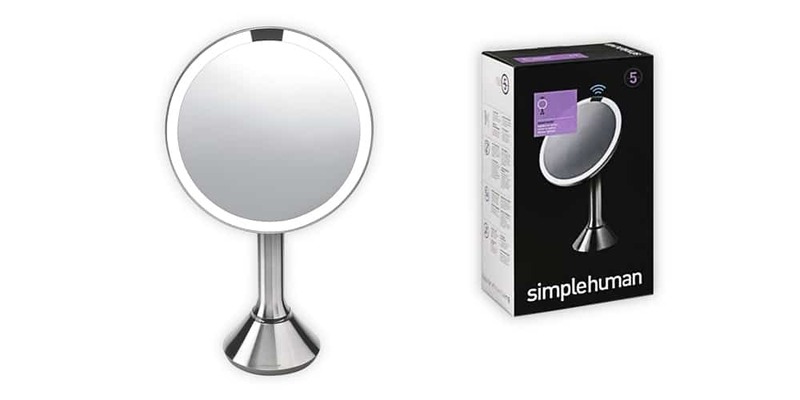 This product also has a plethora of other top-notch features, making it a clear winner. Moreover, Tile comes with a replaceable battery that is guaranteed to be enough for a year of operation from activation. It’s easy to replace one yourself. The Tile Mate is the most popular tracker today it is small and has a great, but also because of the large community of users associated with it. 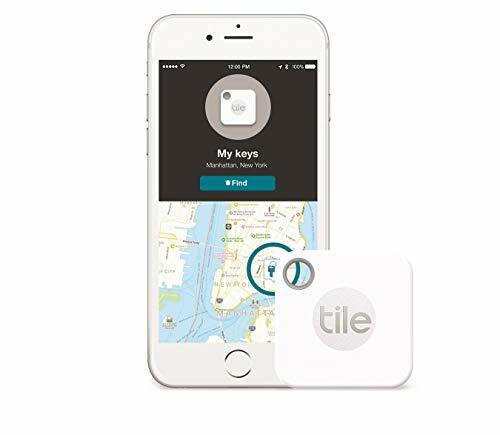 Tile Mate allows you to tap into that community in the event that you need extra help finding a lost item, and because it is such a popular product this provides a very large, built-in group of helpers when you need it most. The new Tile has a replaceable battery so you don’t have to replace the whole thing if the battery gives up. 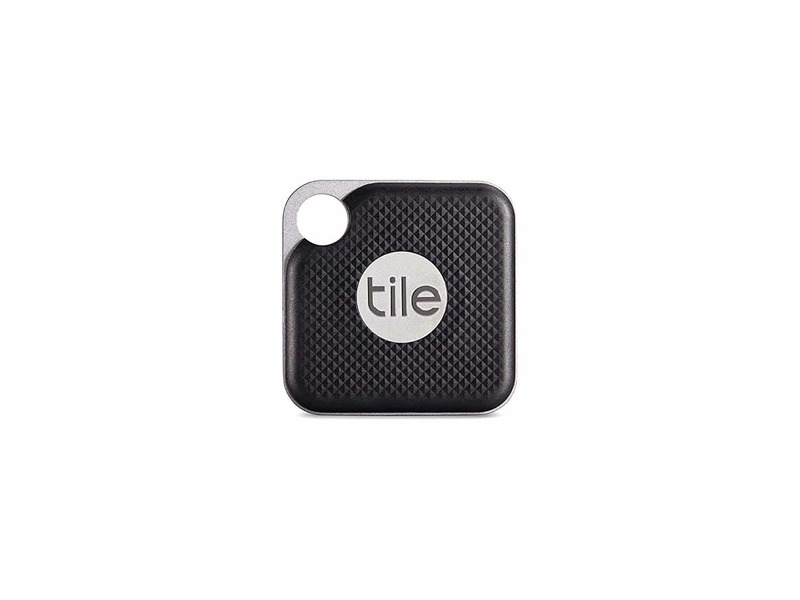 If you always misplace things and you travel quite a lot, Tile Mate is the tracker that you should go with. That’s because it has a huge community all over the world that could help you find your lost stuff. Users note that love the small size, and that the device is simple to use and makes their lives easier. To track your items just about anywhere (as long as there’s cellular network in range, think about your smartphone’s LTE coverage), go with Samsung SmartThings Tracker . It’s the best in range! Whenever your item or your loved ones with the tracker arrives or departs a preset zone, you’ll get an alert. The best application is when you want to keep tabs on your naught pets! You don’t have to worry if they get through your fence. Another practical application is for your kids. 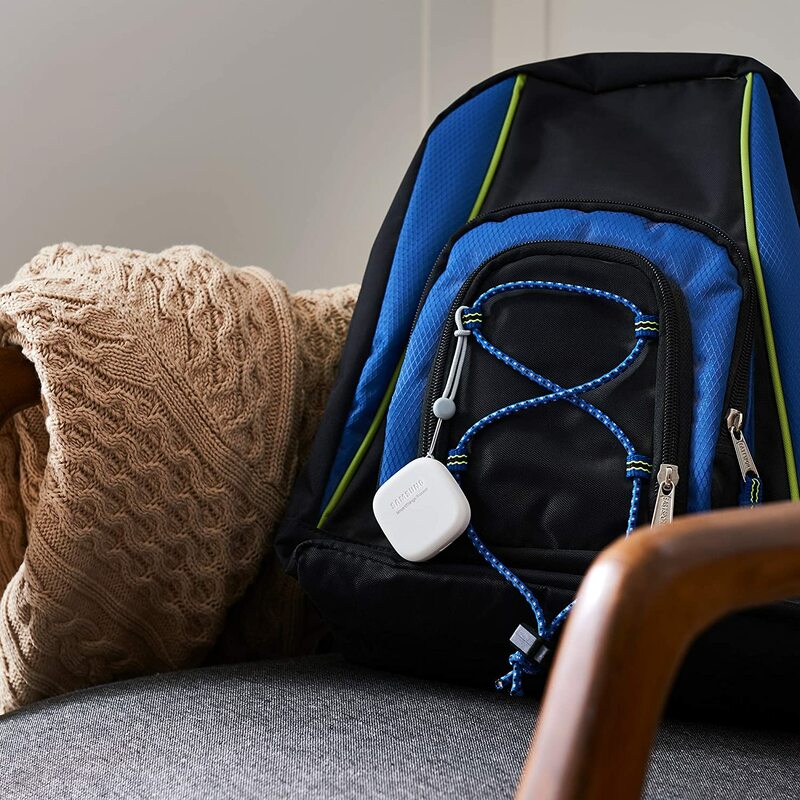 When they have the tracker, they can simply press the power button twice to send their real-time location to you, signaling for you to pick them up from school or at their friends’ house. It can also be used to send SOS on emergency situations. 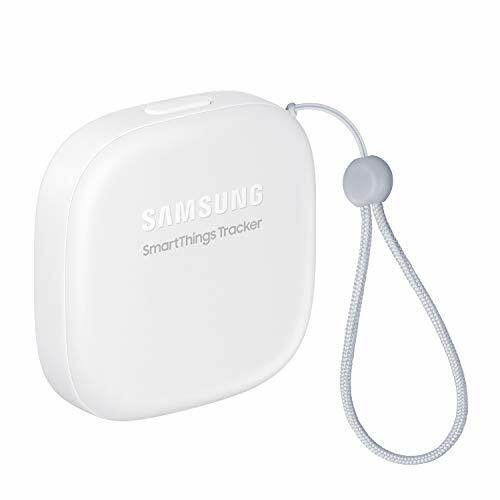 If you’re thinking of using your item locator to do more than just item tracking, then Samsung SmartThings Tracker is the one for you. 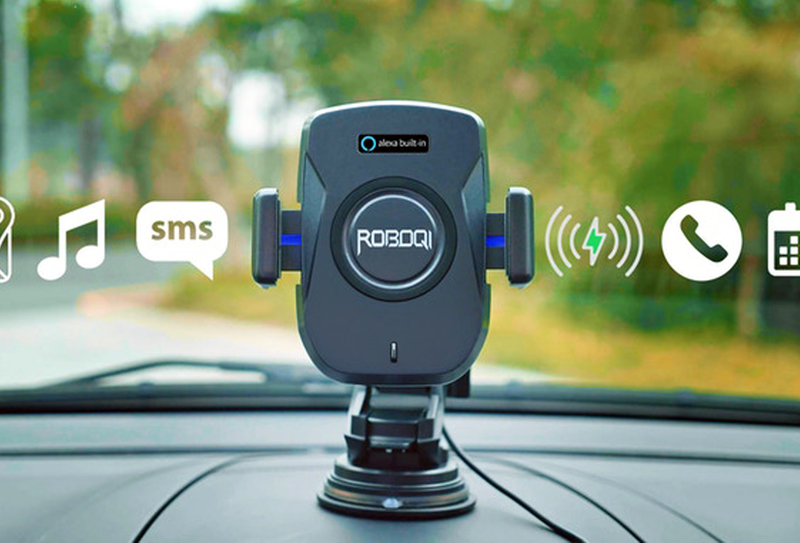 It can be used to send SOS during emergency situations. 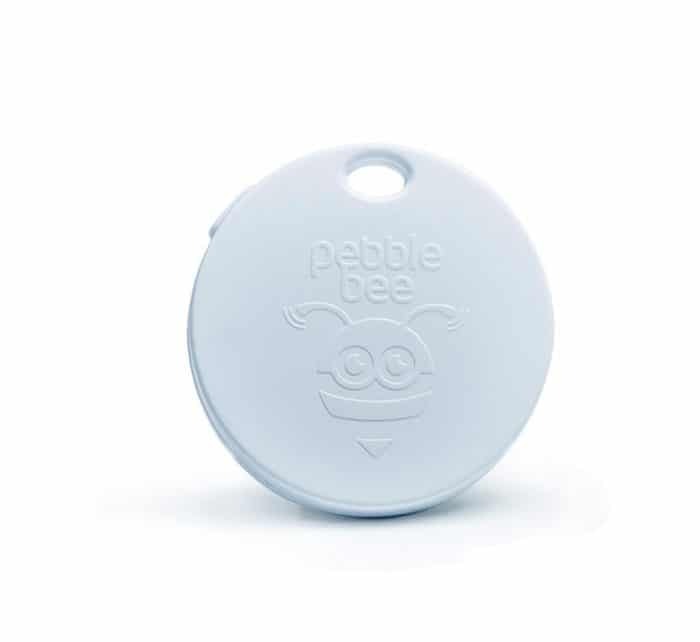 It’s also durable and won’t get broken when water splashes to it, making it the best tracker to track your kids. Snap a selfie while you protect your stuff. I honestly hate selfie sticks, even though I see why they’ve become so popular. We often run into situations where a group photo orwide-anglee view is called for, but I just hate how ridiculous people look holding poles in the air trying to get the perfect photo. 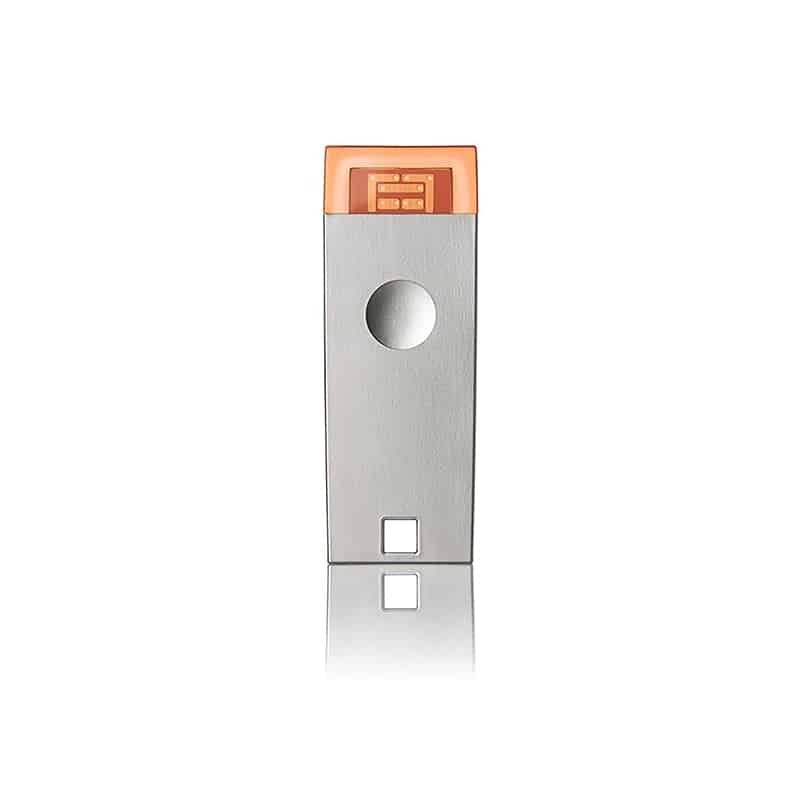 If finding an item is just one of the many requirements that you have as of the moment, this Honey Key Finder could be the one you’re looking for. Aside from using it to find your keys, phone, and other important stuff, it can be also used to trigger your camera (cool for selfies). 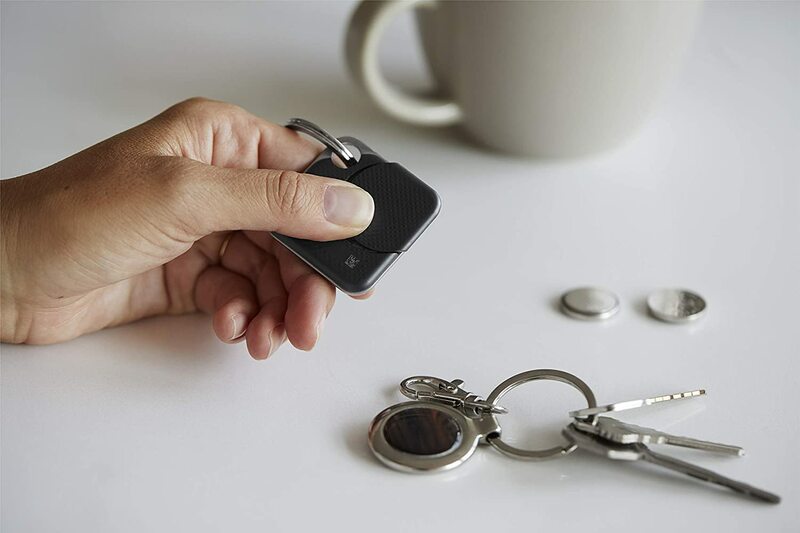 Quickly attach a tracker to almost anything with a key ring. A friend of mine went on a safari trip to Africa last year, one of those once in a lifetime trips that you dream about. 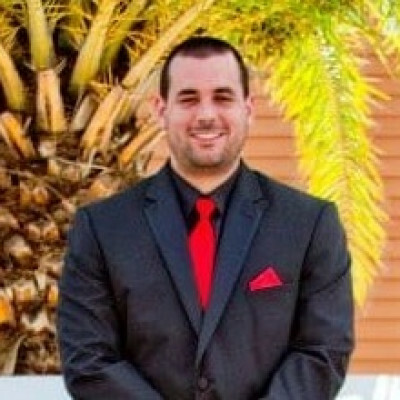 He and his family took a bunch of photos throughout the trip… and then lost their camera before they could upload them to their computer. Obviously, it was really upsetting for them to lose those memories. A small attachable Bluetooth tracker, like the Tile Pro, can be quickly hooked to something like a camera. You’ll have extra peace of mind that your memories won’t get lost, so you’ll get to share all those amazing vacation photos with your Facebook friends. 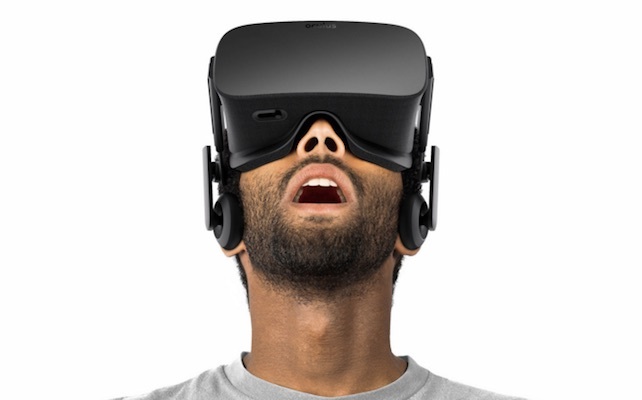 It has a long range of 300 feet and a volume that’s two times louder as the previous model. This device is small enough to fit into anything like your bag’s zipper. The small design and accompanying key ring allow you to easily hook the tracker to important things discreetly. If you want a tracker that is small, but is pretty powerful and can cover a huge range, then get this Pro version. I have found that there are two very distinct levels of losing something. An item is either “lost,” but actually just misplaced somewhere in your home or car, or actually lost and potentially left in a public place where its chances of being recovered without serious assistance are slim. When something is really lost, my mom always asks me, “Where was the last place you had it?” That’s a good question, and one that this TrackR Pixel will help you answer instantly. Because it’s small, you can attach it to anything — keys, wallets, bags, luggage — whatever you might misplace. When you access the TrackR app, it will tell you the last known location of the item you are tracking. You’ll have a starting point for your search and recover mission! You can even use Alexa’s Find My Phone Skill (or just press the tracker) to help you find your phone even if it’s silent. There’s the Global Crowd Locate feature too if you really can’t find the item at home. Fellow TrackR Pixel users around the world will help you track the item for you. 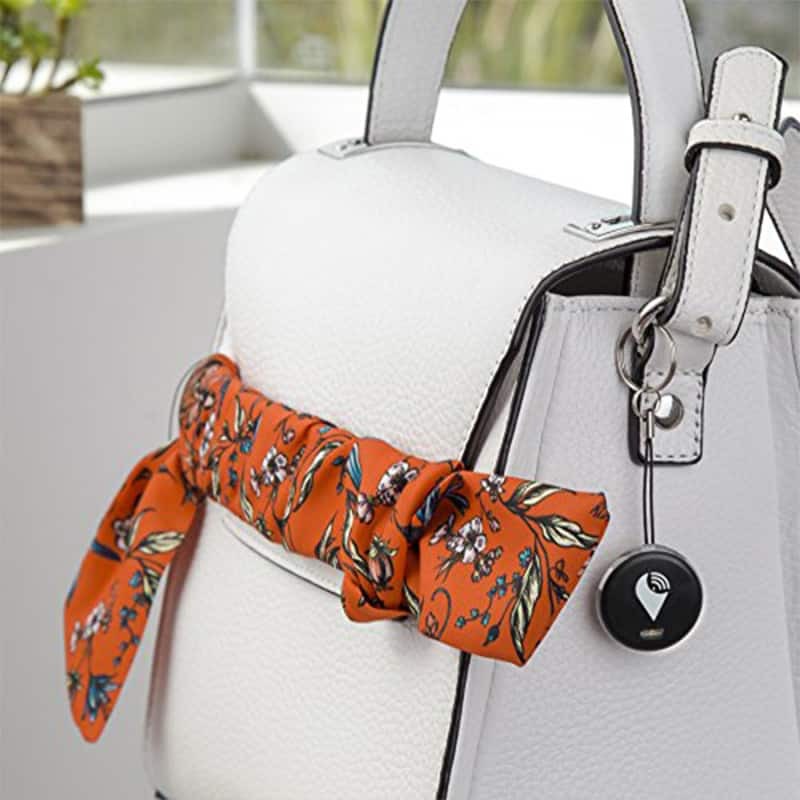 If you’re someone who tends to lose items in stray bags or underneath a pile of clothing, having a strong alert sound on your Bluetooth tracker will be particularly helpful. Something like this TrackR. The lights and sound help them find the items faster. Also, having the option to change the battery yourself is also pretty useful since this can’t be done with other Bluetooth trackers. Never spend a weekend searching for your kid’s favorite toy again. When I was little, I was very attached to a specific stuffed animal. It was a little leopard that my great-grandmother had given to me, and I carried it everywhere. One weekend on a family trip, the bag with my leopard was misplaced and we spent the entire trip searching for it. My dad was sure that we wouldn’t find it, and I was crushed. By some miracle, at the end of the weekend, we ended up finding the bag just a few feet from where we’d parked our car on the street. Decades later, I still have that stuffed animal on a shelf in my house! If Bluetooth trackers had been around in those days, we likely would have found our bag right away and avoided the entire stress of that weekend. The Voila is a great option because it has a slightly larger Bluetooth range and can help you find things that you’ve walked some distance from. This is an ideal product for anyone who spends a lot of time outdoors, especially people who enjoy activities like hiking. The long Bluetooth range will allow you to quickly search for a lost item during your adventures. For this extended range, it’s a bit pricier than the others, but users have been praising its ease of use and connectivity. Never have to replace battery every 3 months. Have you ever been let down by your item tracker, thinking that it’s doing the job, when all along the battery was dead and not functioning? Your 100% peace of mind suddenly spiked into a few minutes of worry mode, checking what might be wrong. For instance, when you forgot to replace the battery in your item tracker after losing your wallet. It was difficult trying to find it since the battery had died. SpotyPal would not let this happen to you. It has a low energy consumption so its battery lasts up to a year. Replacing batteries would be the least of your worries! This is an ideal product for anyone who wants a low-maintenance tracker and for someone who doesn’t really enjoy a low-battery notification every 3 months or so. Here are the Best Bluetooth Trackers compared. 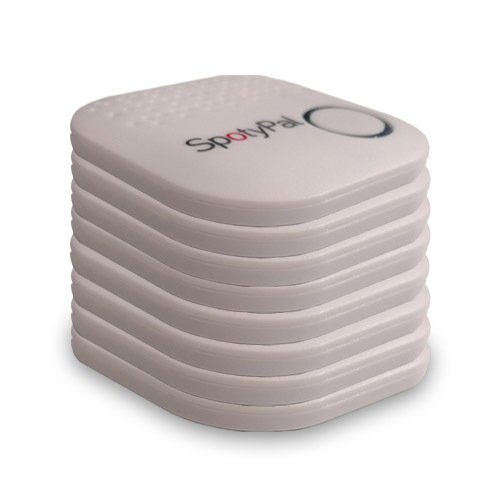 Price Check – Bluetooth trackers come at a very affordable price given their features. They range between $20 to $50. If you’re planning to place it on all your important belongings, you can do so. Just be sure to check if its features are worth the price you’re paying. 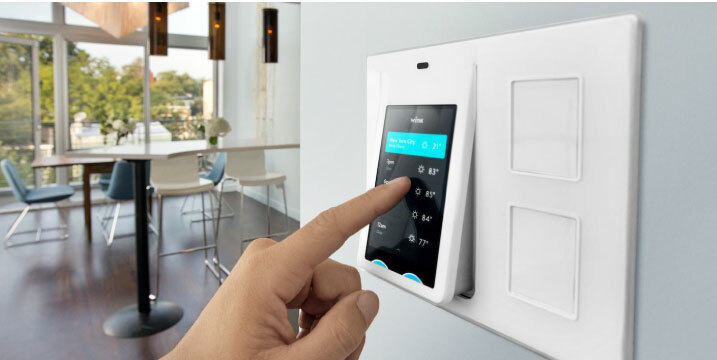 Ease of Installation – Attach, sync, and go. First you just have to attach the product with the device. Next, sync it with an application, and then you’re good to go. You don’t really have to deal with difficult instructions since this product was meant to provide ease for your item-tracking needs. 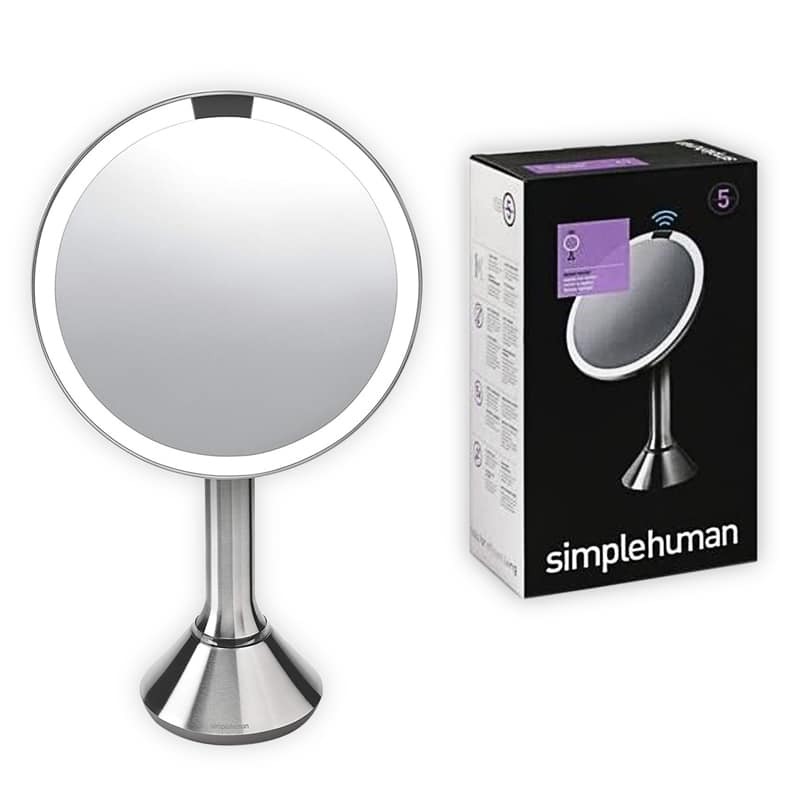 Range – For this one, it really depends oin the product and its brand. 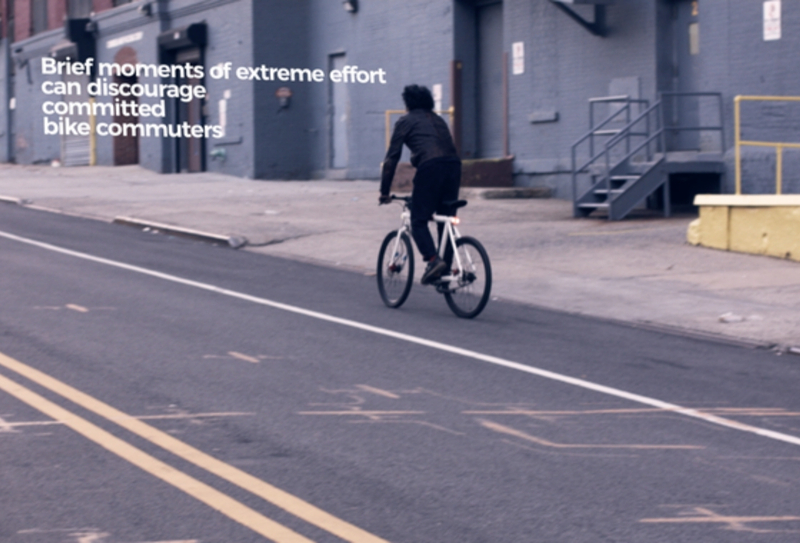 Some have a limited range while others have a wide range of connectivity. Some would even use LTE GPS for a wider connection. Some could just go as low as 150 inches, but some could go as far as 500 feet range. Aesthetic – If you’re going for something that matches not just your needs but your style too, you don’t really have to look further. There are some brands that offer products not just with good features but with really good aesthetics, too. 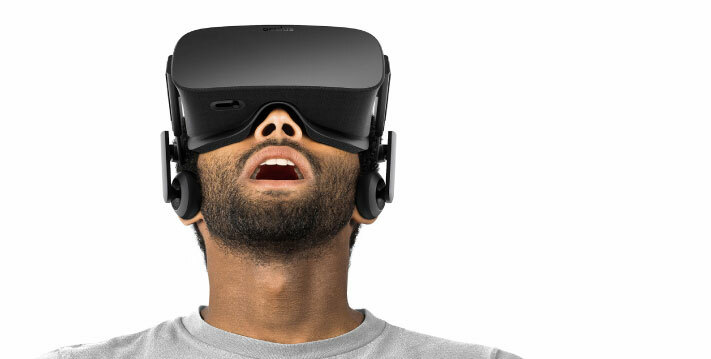 It won’t really look like a device but more like an accessory. Additional Features – Find something that can surpass your needs. Some products are waterproof, have a built-in camera to take photos, are weatherproof, and more! If you were to invest money, be sure to look for something that is really worth it. 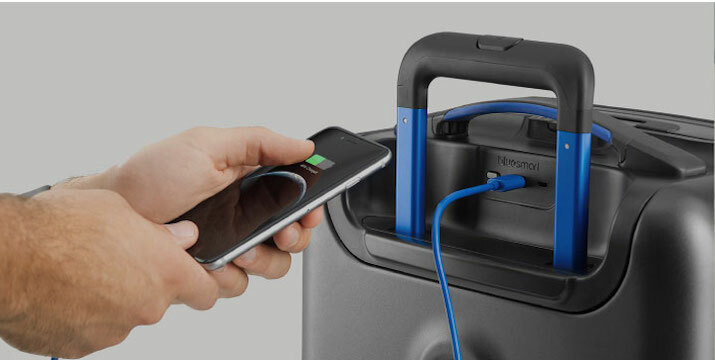 Battery Life – Since these products are designed to be small so that you can bring them freely anywhere, most of them do not have rechargeable batteries but replaceable ones instead that could lasts for months. Also, some have rechargeable batteries that can last after 10 days of use. Q: How many trackers can I link to my phone? A: It really depends with the product and its app. For Android, it can usually pair up to 8 trackers. For iOS, it could pair up to 12 trackers simultaneously. Q: Can I remove a tracker from my account? A: Yes, you can customize it. You can easily remove a tracker from your account. Then you can connect it to other accounts to continue monitoring and tracking your things. Q: Can I turn off the tracker when it notifies? A: Some trackers produce a ringing sound whenever it is found. You can mute it either manually or with the use of your device. Q: Can it really track even at great distances from the item? A: It depends on the range that your device is capable of. For some it uses GPS to further track the location of the product. Q: Can it store photos? A: Some Bluetooth trackers have a built-camera. You can store photos with its built-in storage or maybe you can save them to your phone. Q: Can I change the range of my tracker? A: No, the range is already fixed. Also, when using Bluetooth and GPS, it’s okay even if you do not have a GPS. You will only just get reduced functionality. 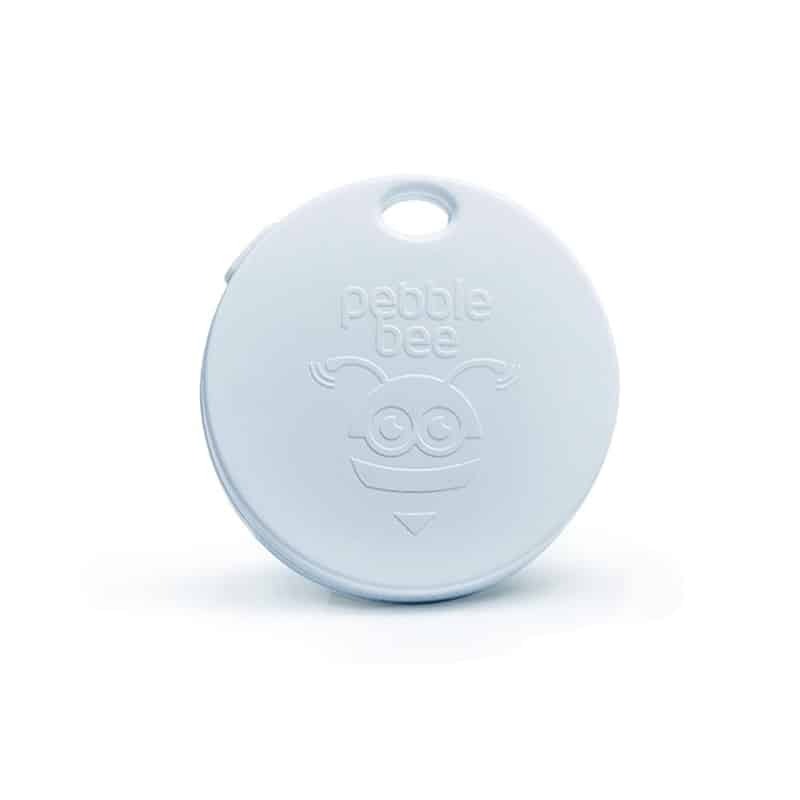 Bluetooth trackers are extremely helpful and inexpensive devices. 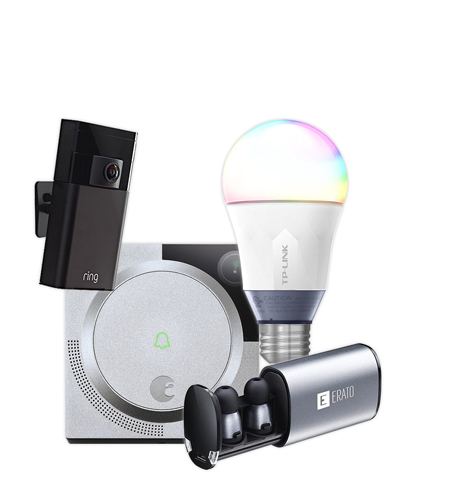 Once you try one of the products on this list, you’re probably going to want to order a handful of them so that you can track all of your most important items. Many of these products can even be ordered in sets, so you can attach them to your phone, your pets, your keys, or whatever you want! What items would you keep safe with a Bluetooth tracker? Leave a comment below!